In our discussion regarding her newest play, What I Call Her, premiering November 16-December 8 at Crow’s Theatre, Ellie Moon is careful yet generous and endearingly enthusiastic. From her temporary home in Montreal, where she’s playing the role of Emmy in A Doll’s House, Part 2 at the Segal, Moon speaks fondly of her creative team back in Toronto, who are working hard to bring this comedy (or at least, very funny play) to life. We spoke with Moon about life after Asking For It, what it’s like being mentored by Chris Abraham and using art to heal. Megan Robinson: Can you talk a little about the experience you had after Asking For It? Maybe about how you were feeling and where you were at as an artist? Ellie Moon: Post-Asking For It, I had the biggest vulnerability hangover of my life, which was difficult, because I went right back into auditioning but didn’t really want anyone to look at me (laughs). It was a lot that I asked of myself in that project. You’re just getting to know yourself in your early 20s, and playing myself in a play, asking very vulnerable questions, it was a big deal – and I wasn’t relaxed about it. If I had known that once the show closed, much of the world would be standing up and saying “I had this sexual experience and I’m not sure what it meant, whether it was consensual, what my power was or is”, if I’d know Albert (Schultz) would no longer be running Soulpepper a few months later, I would have slept much better during the rehearsal process, but these things were completely inconceivable to me while I rehearsed this play. So, I was cripplingly terrified. The terror did relieve significantly after #MeToo broke during the run of the show, but the vulnerability, of course, persisted, and I was pretty exhausted by it all when it closed. I felt like spending a lot of time alone after the play closed, which I did, and which allowed me to write this play. MR: This show is about healing from trauma. I’m curious to know more about what role your art plays in helping you heal or grow as a person? EM: Theatre has connected me with the most empathetic, accepting people in my life, so that’s a big part of it. It allows me to discuss and test behaviour, to learn about and consider its impact on people, without needing to try it out (that’s not to say that I haven’t tested out some good and bad behaviour in my life anyway, though). Most powerfully, maybe, I’ve written multiple “unlikable” characters that I’ve watched artists embrace and see good in that I couldn’t see when I wrote them – and that is very healing. It’s also enabled me to connect with others with similar life experiences, or different life experiences, because at the end of the day, the experience of all lives is similar enough to unite us. 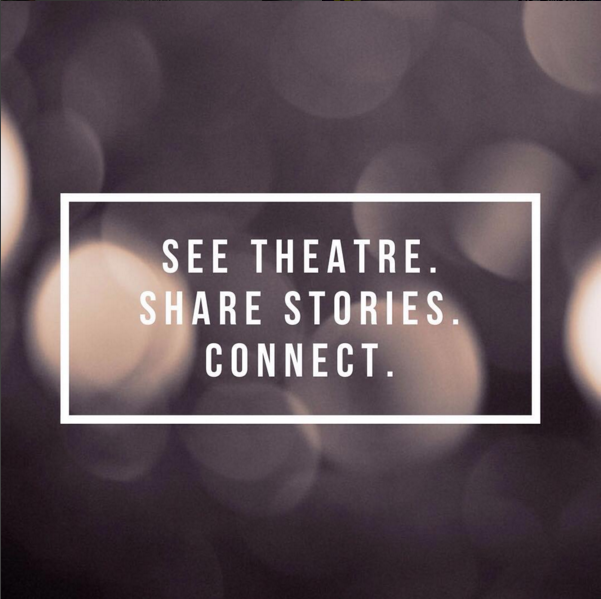 Trauma isolates you, theatre connects you. MR: What was the process like of writing What I Call Her? How did it come about? EM: This is super strange and wild and hasn’t happened for me before and I don’t expect for this to happen again…But I sat down and started writing without a plan, and 7 or 8 hours later I a) moved after all that time b) ate peanut butter toast and c) read it back and went “Woah, I really like this”. It had a few development workshops this year, but the changes have been very delicate – Director Sarah Kitz contributed an important stage direction, and I added and took away some text, but not much. I don’t think the original draft would look too different from the production draft, were you to look at them side-by-side. This is not at all how I work, usually, not even a bit. It was hard to speak about this play at first, because it was so born of my subconscious. I needed to work backwards to learn how to represent it to the community and I did this by sharing it with trusted people, and discussing with them what exactly it is. MR: How did Crow’s get involved? EM: I gave Chris Abraham (Crow’s Artistic Director) the play to read, just as a friend. I was looking for feedback but absolutely not expecting him to program it. He read it and said “I might have space for this at Crow’s in the season” and then, “I have space for this in the season” and suggested Sarah Kitz as director. Sarah and I actually met for coffee a year and a half ago, after we had first “met” in the comments section of your incredibly brave piece about your experiences at George Brown, which brought about meaningful change – bravo! I understood Sarah to be a deeply ethical, smart person and I was like, “yes” this is a great fit. MR: Chris (Abraham) has acted as a mentor to you, and I’m wondering if you can share some of the vital beliefs about playwriting or theatre in general that you’ve received from him and how they’ve shaped your work? EM: Really too many things to name – I’m incredibly grateful to Chris. Most of the language I have to speak about plays comes from Chris and that’s pretty major. I wrote Asking For It while assistant directing a production The Watershed and that was the first time I heard the word “dialectic” (and I embarrassed myself by thinking he was saying dialect at first and being like “no I think the accents are good” (laughs)). On that project and others we’ve worked on or discussed, Chris talks a lot about moving a dialectic (or argument) through action, and that idea was at the front of my mind when writing What I Call Her (as well as Asking For It, and my new plays for the Tarragon). Chris is very gifted with taking a complex idea and simplifying or distilling it, it’s partially why he is such a good director and teacher. A practice I learned from him, and that he passed on from someone else, is that I try to name in just one short phrase what my play is about – what the central argument is – as early as possible in the process of writing. Chris is also wonderfully open-minded and accepting (I mean, for example, there was zero judgement when I thought dialectic meant accents…except from me, of myself) and I am working to make that more and more part of my practice as an artist and my life in general. MR: Tell me about working with director Sarah Kitz! EM: It has been absurdly wonderful to have Sarah as a collaborator on this play. From the very first conversation I had with her about the show, I was gob-smacked by how completely and fully on the same page we were. I have never had this experience before, and I don’t consider it necessary to always see eye to eye with a collaborator, but it’s just a fact that she has never said one word about the play that hasn’t made me go, “yup, exactly”. Sarah has an enormous heart to balance out her enormous brain. As well as being able to navigate every aspect of the arguments the characters make in this play, and being able to hear the lines exactly as I do, and crack the language like a code, she has always had an understanding of how this play would exist in bodies and in space. Sarah also has a stunning capacity to hold both of the conflicting truths this play presents, side by side, with enormous empathy for and acceptance of both, and an acceptance of the mystery of where these meet. As an actor herself, she is also an incredibly gifted coach and director of other actors. That has been so essential here because these roles demand an absurd amount of these actors, and I know the cast would back me up when I say that Sarah is a gift to them as their guide. Speaking of, I can’t believe how hard we lucked out with the cast – their qualities are bang on for these parts and they are extremely gifted and can manage this highly wordy, challenging text with ease. This was something I was nervous about – this combination of the inherent qualities I saw the actors and characters as needing to have, coupled with the need for actors who are extremely proficient with text, and especially because the play needs such young actors. Your energy changes a lot year by year between 20 and 30, these are like dog years, and if these roles feel “played down” by older actors, the play is so delicate that it could tip it into satire. A big question in the play is one of responsibility and the entrance into adulthood. At what point in someone’s life do they go from behaving in a way that can be reasonably understood as being in response to their given environment, to them being active in the world, not reactive, and responsible for their conduct? It’s probably not 18, right? You’re still a kid at 18. It’s probably somewhere more between 20 and 25. So the casting, and casting as close to the right ages of these characters as possible, was very important to me. I was fortunate that Sarah agreed wholeheartedly with this, and that she adores and understands actors as she does. And of course, these fine actors (Charlie Gould, Ellie Ellwand and Michael Ayres) deserve a shout out in here, too. They have had to learn a lot of very precise, very, very wordy text and hold all that alongside the massive emotional stakes of the show. And they are also hilarious. MR: If you were to liken this show to something else, what would it be? EM: I realize this is a very ballsy thing to say about my own work, to compare it to one of the great plays of the past century, but I think it’s kind of a funny, female, millennial Long Day’s Journey Into Night. MR: What is at the heart of this show for you? EM: How much we need validation to heal, and how difficult that is in a world where other people exist, and not just to be in service to you and your narrative, but have their own experiences of things that need validating, too. How people who are traumatized often behave in ways that destroy their credibility and make that validation very difficult to receive. How responsibility is needed for healing, but is so often arrived at through blame. MR: What makes you want to write? What sort of things get you inspired? EM: I’m not sure what makes me want (or more accurately, need) to write and I want to respect the mystery of that and not think too hard about it. I’m very grateful that I can do this and that I’ve had the opportunity to share so much of my writing at this point in my life. Right now, I’m definitely interested in morality and responsibility and power, but I can feel this shifting, and I want to invite it to shift. MR: Asking For It was documentary theatre, where this one has more of a classic play structure. Do you have a preference of one form over the other? EM: I don’t have a preference with regards to form. I want to have a diverse writing practice. I definitely notice that people give you a lot more credit as a playwright when it’s a fiction play and not docu-theatre, though, which is too bad and misguided. Docu-theatre requires an incredible amount of work, responsibility and authorship. People have a lot of bias against it as a form. They assume it’s dry, didactic, condescending. It doesn’t need to be and I have been fortunate to see so much docu-theatre that isn’t. MR: Since being a playwright-in-residence, how has your craft evolved? MR: I’m the Bulmash-Siegal playwright-in-residence at Tarragon and in this capacity, I’ve worked a lot this past year (and will this coming year) with Richard Rose, Jason Sherman and Joanna Falck – awesome, sharp, wise people and artists. As well as adding significantly to the language I have for speaking about plays, this residency has allowed me the space to develop plays (two of them!) over time, to take in and incorporate very precise feedback (or feedback that’s imprecise, but just as potent and useful). I’m usually one to rush to immediately apply notes, but this arrangement allows me to really hear a note, and maybe not understand immediately exactly how I will apply it, but to not be afraid of that, to sit with it and come back to it. This opportunity to not have to figure it out right away is invaluable, especially because, as I said before, your 20s feel like dog years and I feel like a different person than, like, a week ago. MR: What’s your favourite line? The estranged mother of 25-year old Kate is on her death-bed. A Facebook post becomes the subject of heated debate. Then, a knock on the door. A play about gaps in how people perceive and understand the world they live in, female generational rage, and the loneliness of holding onto one’s own truth.